The East coast of Iceland is home to the country’s largest forest, lush farmlands and a range of small fjords and islands. Thanks to the East’s many natural harbors, a variety of fishing villages, and small seaside communities border the coast. Impressive magma chambers filled with colorful mineral deposits can be seen and visited along the eastern coast. In the summer months, the east of Iceland becomes a creative hub for artists and young people from around Iceland and abroad, as a variety of music and art festivals have been popping up and expanding steadily in recent years. 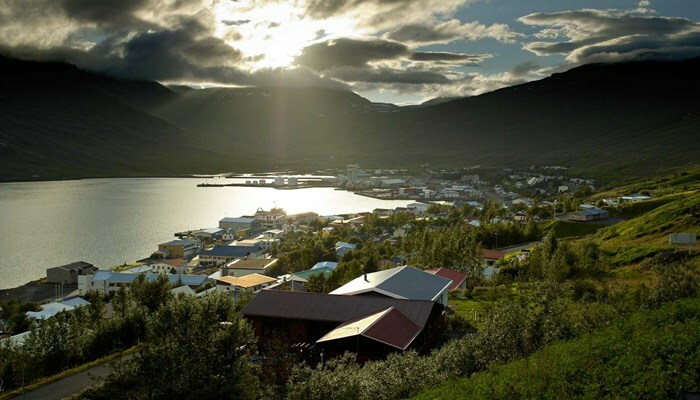 Seyðisfjörður is the landing place for the Smyril Line Ferry from Europe, and home to a vibrant art scene emerging to the backdrop of a 19th century village. Indeed, the East has a rich artistic history, as the landscape in the region is truly a rich palette.